Want to read more about the state of the evidence underpinning intermittent fasting? My friend Dr. Bojan Kostevski thesis is the review you're looking for. You've only got 2 weeks left to read this thoughtful piece by Drs. Ludwig and Friedman in JAMA on how the quality of our dietary choices may affect our weights. 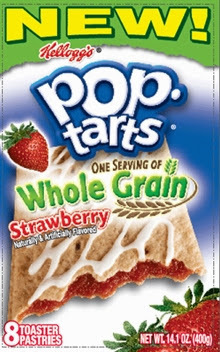 Nancy Huehnergarth in Civil Eats with a great piece on whether whole grain poptart breakfasts are better than no breakfasts for our kids.